I really enjoy this watch! xslyyx, yande, kjse7en and 1 others like this. flyinghell34, powerband, yande and 1 others like this. It is amazing. I got mine just a couple days ago and can't stop looking at it through the day... while driving pass the cop at 94 mph, while asking the boss for a raise, while having lunch with the mistress, while pitching a client, while operating heavy machinery, while shooting quails, and while skinning cats. The Speedmaster Pro is nice to the eyes. 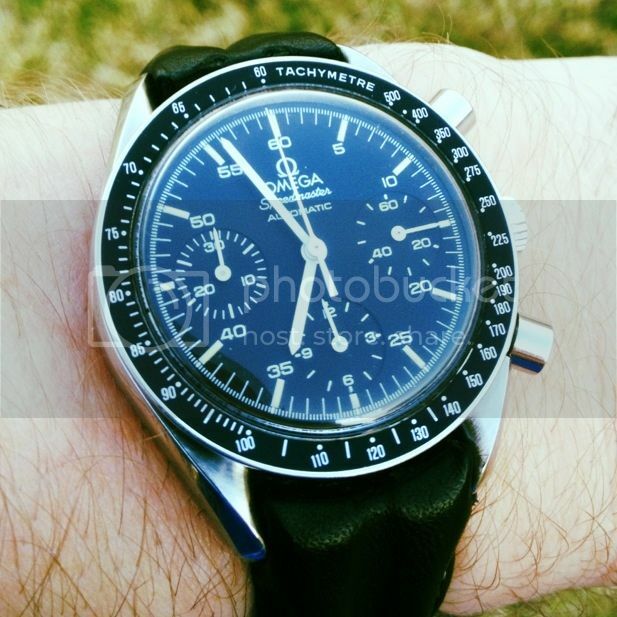 Some pics of my '69 Pre-moon Speedy Pro (bought it to correspond to the year of the first moon landing). I love the versatility of the Speedy and how great it looks on just about any type of strap. I swap it around quite a bit to change the look. The look I get the most positive comments on is with the black canvas Nato with white stitching. On its vintage 1171 bracelet. Last edited by BrentYYC; December 11th, 2012 at 18:28.
yande, Ruche and megamustang like this. Best to pair it with my dream watch given to me by my dear fiance as an engagement gift. CCJ, yande and Ruche like this. Older reduced if I may. yande and masbret like this. 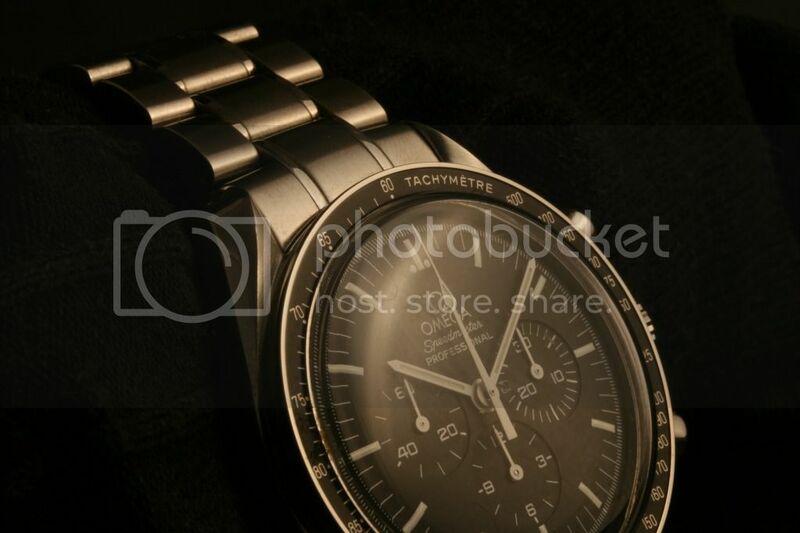 Just realised I didn't put a picture of my pride and joy on the Speedmaster club thread. Last edited by Triss; December 7th, 2012 at 10:38. Just created a 'Hello World' post, but figured that I should post here too. kjse7en and masbret like this. masbret, Black5, didil and 2 others like this.